All cars and light trucks since the 2012 model year have come with standard traction control, and many vehicles from earlier years that had antilock brakes also got traction control. That’s because traction control piggybacks on the antilock brake system and uses the same wheel-speed sensors to control wheel slip during acceleration. Traction control and ABS are the basis of the stability control systems the federal government has required since the 2012 model year. As with antilock systems, the wheel-speed sensors, wires, connectors, control module and other components can occasionally conk out or suffer intermittent problems. The sensors, wires and connectors at each wheel live in a hostile environment of potholes, water, snow, dirt, tar, stones, other debris and more, so they take a beating and can fail. A problem in the system will usually illuminate a dashboard warning light that traction control is disabled and, in some cases, ABS as well. (When ABS is disabled, you should still have normal braking ability, just without the antilock feature.) This is different from momentary illumination of the light; that warning light should always come on for a couple of seconds whenever you start the vehicle and when the system is doing its job. 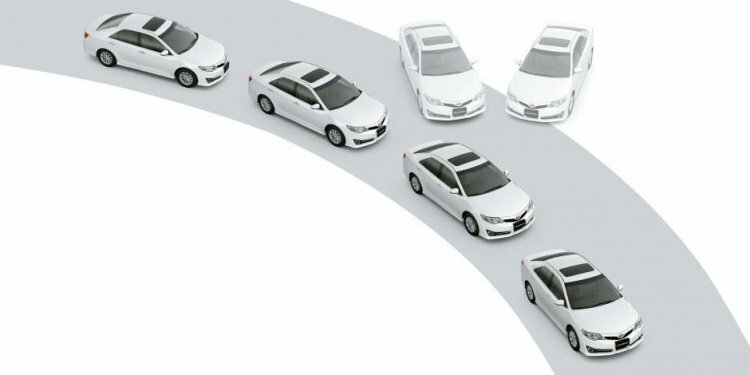 Wheel-speed sensors are supposed to detect when one drive wheel is turning faster than the others — meaning the car is slipping or losing traction. The system will then reduce power and/or apply the brakes to that wheel until traction is restored. When traction control is disabled, you’ll have to control wheel slip the old-fashioned way, by lifting off the accelerator. When the traction control warning light stays on, that means you aren’t getting any help from the system to control wheel slip and the system needs to be checked. Diagnosing issues usually requires a scanning tool to read the trouble code that triggered the warning light. Scanning tools can help pinpoint what the issues are (such as a bad speed sensor or connector) and at which wheel(s). Though traction control provides benefits, it can sometimes be an impediment to progress, such as when entering or leaving a parking space with rutted snow. Some systems are so sensitive that at the first sign of wheel slip they immediately reduce power or apply the brakes so much that you go nowhere. Fortunately, traction control can be turned off in most vehicles, and you can then resort to the time-honored technique of rocking your vehicle back and forth to power your way out of the snow. What is internal control system in Auditing?